Tape Drift Records has recently re-released Location Ensemble’s self-titled live recording as a digital download on Bandcamp. The recording is from a concert at the Saratoga Arts Center in 2012. Tracks include Eric Hardiman’s hocketing, krautrock burner Diversion #3, My Six Chords Every Rock Guitarist Should Know and Thomas Lail’s Sonic Youth-inspired Untitled (All the Times She Loves Me). Friday February 3, I’ll join Bandcamp’s #NoBanNoWall initiative. Bandcamp will donate 100% of their profits to the ACLU. I’ll donate 200% of mine. Over 200 other artists and labels will also participate. One is a refreshing pale ale from Back Forty Beer Co. with a modest alcohol content and an American hop profile: a touch of pine. The other is a wintry meditation on mortality from Post & Beam with an intoxicating Pythagorean minor third: slightly lower than equal tempered. Both are Alabama natives wistfully recalling a vanishing rural past. This fall when I plow the fields under I’ll be thinking only of you. 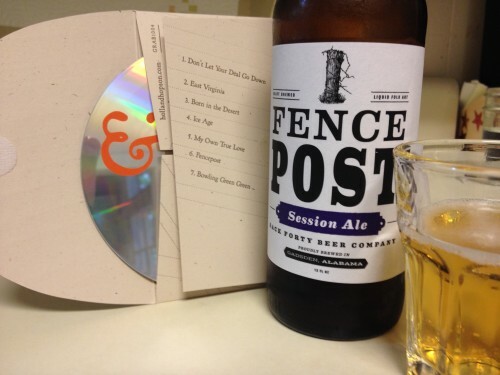 This month’s score from Post & Beam is Fencepost. This is the last song I wrote for the record and has become the sleeper hit of the release. The cFCFAb tuning is one I came to after trying a more standard minor (fCFAbC) or sawmill (cFCFG) tuning. I use a Pythagorean temperament based on F which doesn’t change the tuning of the C’s and F’s very much, but makes the Ab significantly flatter than an equal-tempered Ab. While recording, I kept missing the foot pedals and accidentally stepping on a mic stand instead. 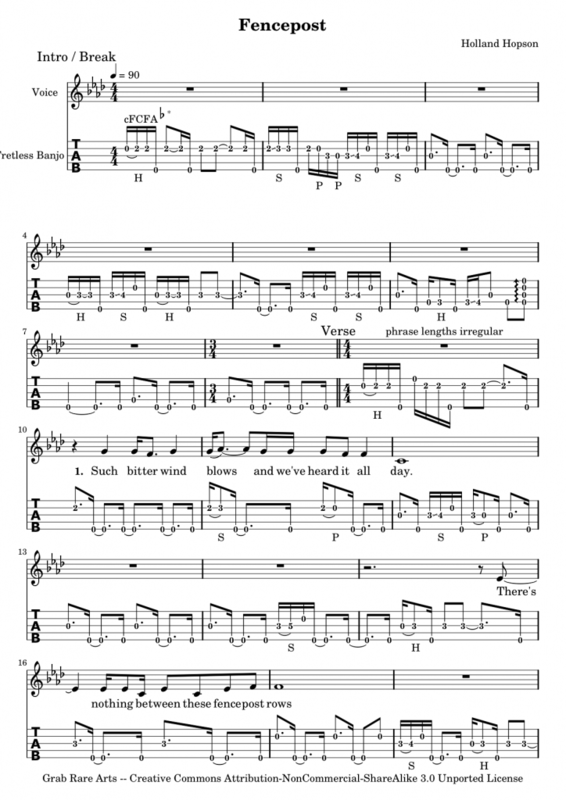 I decided to embrace the resulting bass drum thumps and include them in the piece. Yet another song with bird imagery (YASWBI). I’m a little late posting this on my own blog, but here it is! I chose to use Bandcamp for this release because they now support pay-what-you-wish pricing (including FREE!) along with sales of physical media. So far, I’ve been surprised by how many people are buying the physical CD over just the download. I’ve also been surprised by how few people are choosing to pay $0.00 for the album. (Go on…it’s OK!) Most people are sending some of their hard-earned $freedom$ my way in exchange for my music, and I appreciate it. Everything I earn supports the creation and sharing of more music. Bandcamp and PayPal get their share, and the rest goes toward that next imagined sound. 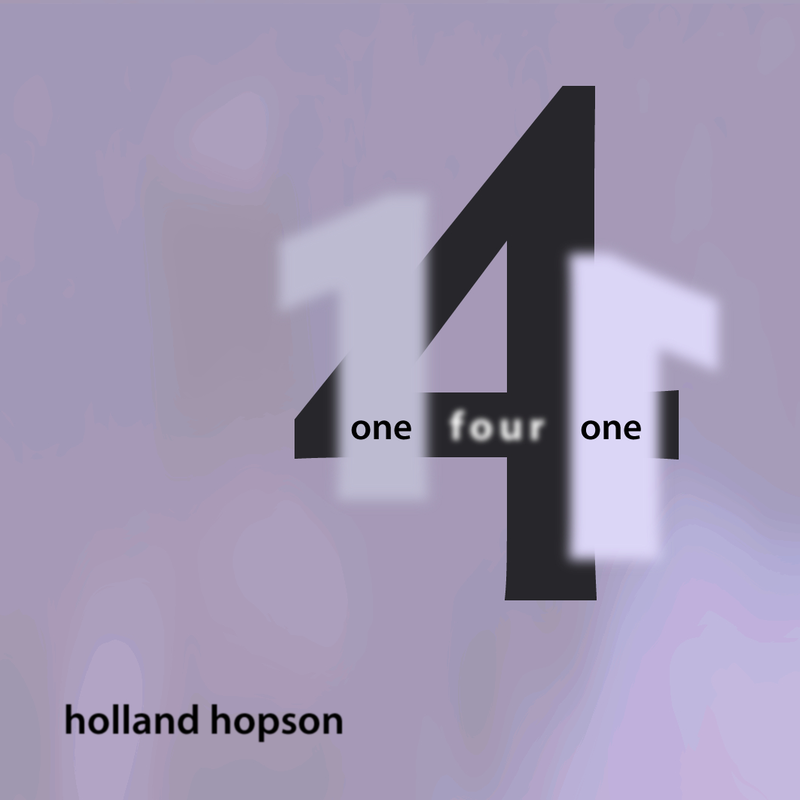 One 4 One is now available for download at Bandcamp! Today marks the ten-year anniversary of One 4 One, the live recording of a set I performed at the Arts Center in Troy NY as part of the Impulse/Response series. The album had previously been available via Amie Street (RIP). One 4 One includes 5 pieces for extended soprano saxophone and computer, and one piece for sipsi and computer. All of the pieces involve some degree of interactivity–the computer responds to the live instrument, and the performer responds to the computer’s output–made possible by custom software written with Cycling 74‘s Max. The name of the album is a pun on the date, of course, and it also refers to mapping inputs to outputs.